A well-crafted appetizer is the perfect way to make sure your guests won’t go hungry so you can focus on fully-filled wine glasses and good conversation. Our restaurants collected their tried-and-true entertaining bites to make your life a little easier. We wish you a stress-free holiday season filled with good food and great company. It’s a classic for a reason. The Kale and Artichoke Fondue from Wildfire is the perfect bowl of melty cheese for your guests to gather around. 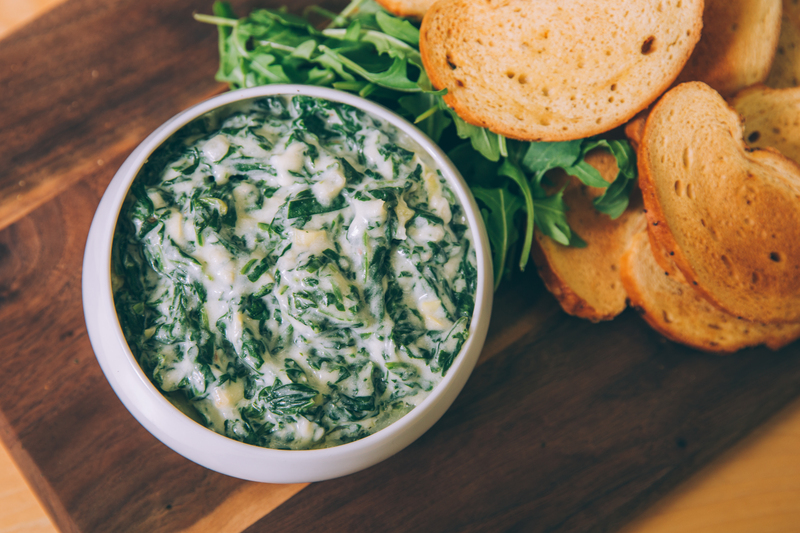 Click here for the Kale and Artichoke Fondue recipe. Every party needs a little crunch. In walks the Coco’s Coconut Shrimp from Three Dots and a Dash. Dip in Orange Sweet & Sour Sauce for an optimal flavor boost. 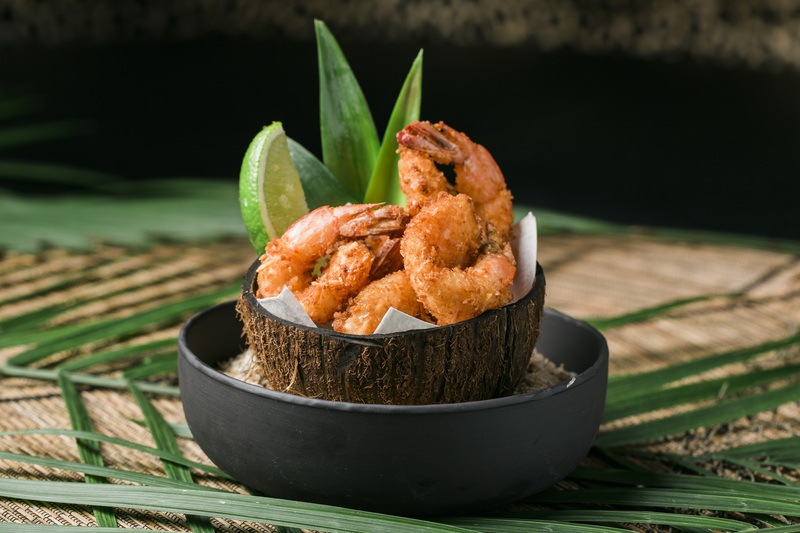 Click here for the Coco’s Coconut Shrimp recipe. Anything that fits on a skewer is the perfect pre-dinner snack for guests that are too busy gabbing to grab a plate. 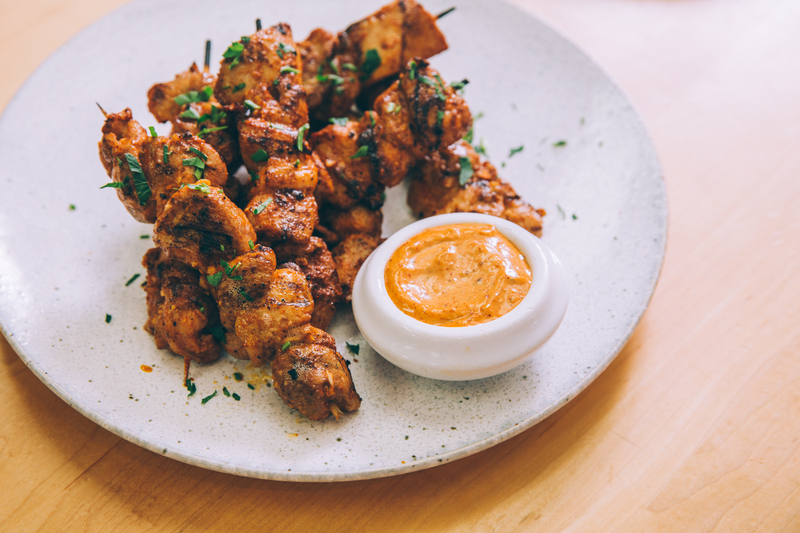 Wildfire‘s Moroccan Chicken Skewers work best dipped into an ancho mayonnaise or your favorite aioli. Click here for the Moroccan Chicken Skewers recipe. 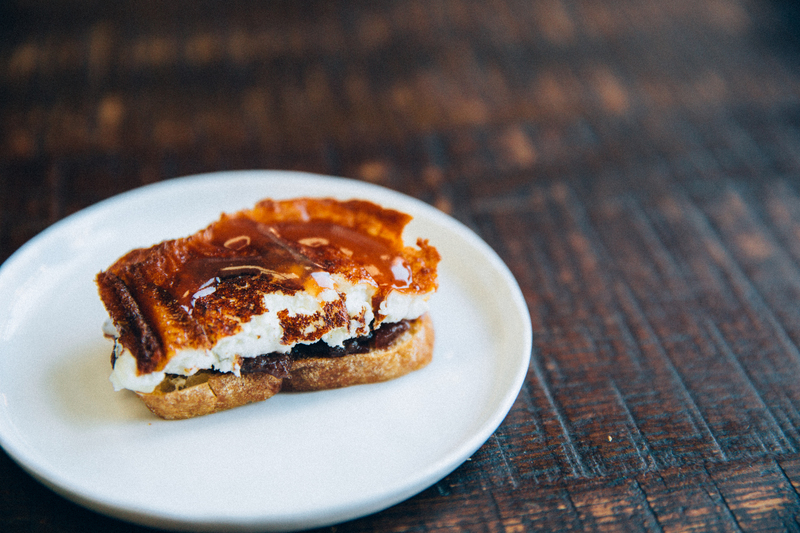 Because goat cheese is always a good idea, our friends at Cafe Ba-Ba-Reeba have created the Cana de Cabra Pintxo. This simple crostini is the perfect bite to hold your guests over until dinner. Click here for the Cana de Cabra Pintxo recipe. 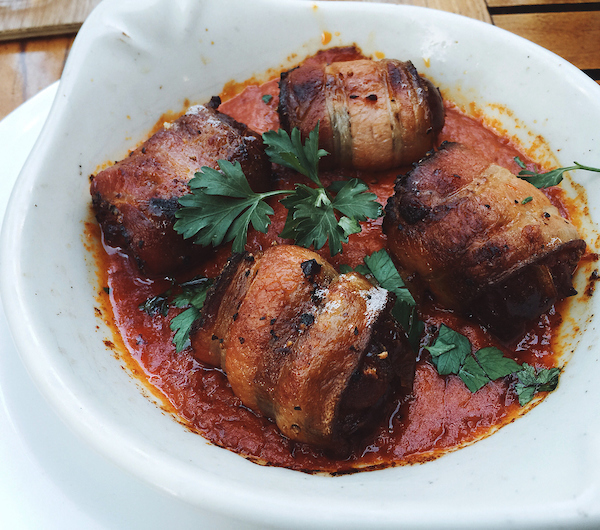 Careful you don’t eat all of these bacon-wrapped Medjool dates stuffed with savory Calabrian sausage before your guests arrive. N’ duja Stuffed Dates from Osteria Via Stato make the perfect sweet and savory holiday bite. Click here for the N’duja Stuffed Dates recipe. Sometimes the best appetizer is the one that’s easiest to whip together. With pimento cheese, hot links, and saltines, the Trucker Snacks from Bub City are the perfect candidate. Click here for the Trucker Snacks recipe. A perfect appetizer for your holiday feast, the potatoes and jalapeño crema make the Mediterranean Octopus from RPM Steak highly addictive. 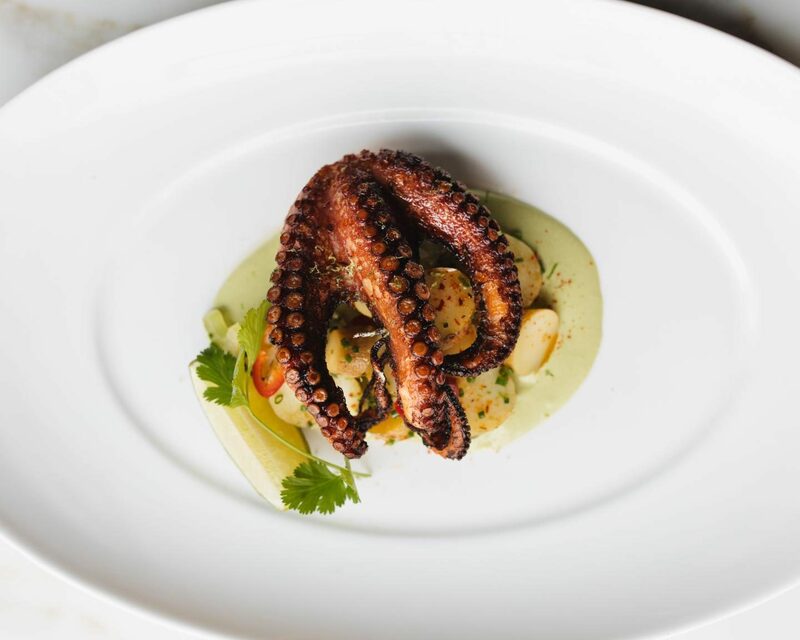 Click here for the Mediterranean Octopus recipe. 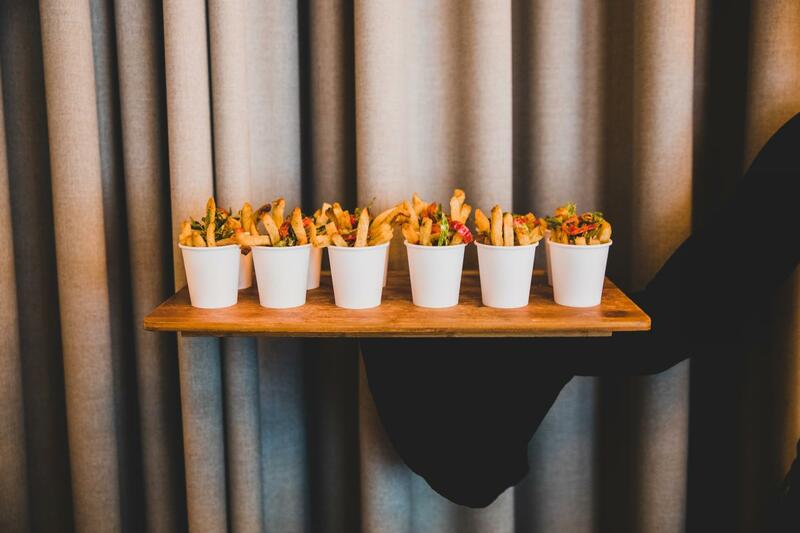 The hand-cut Kennebec Fries from Beatrix with crispy lemons, spicy red chilis, and shishito peppers are just as delicious as they are beautiful. Click here to make a reservation at Beatrix. 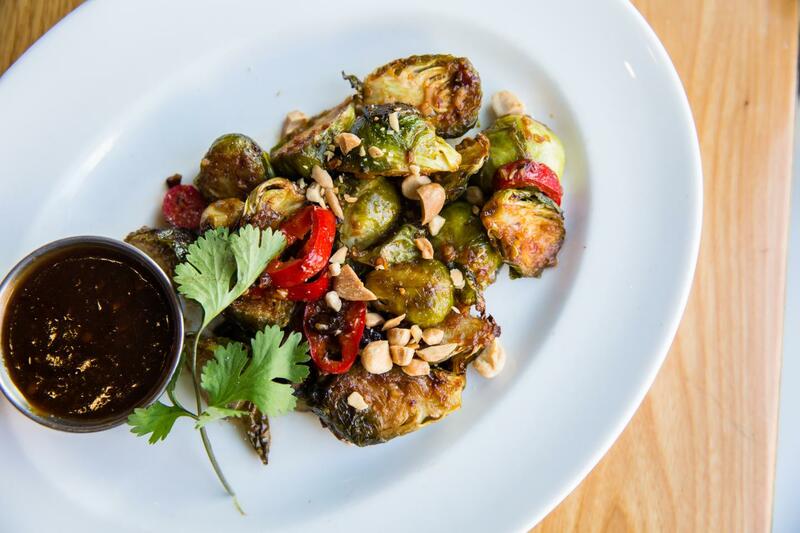 This healthy Kung Pao Brussels Sprouts appetizer from Beatrix is sure to hit the spot with its pickled Fresno chilies, Kung Pao sauce, ginger and garlic. Click here for the Kung Pao Brussels Sprouts recipe. Want some more party planning menu tips? Click here to learn the 3 things you should keep in mind when planning your party menu!